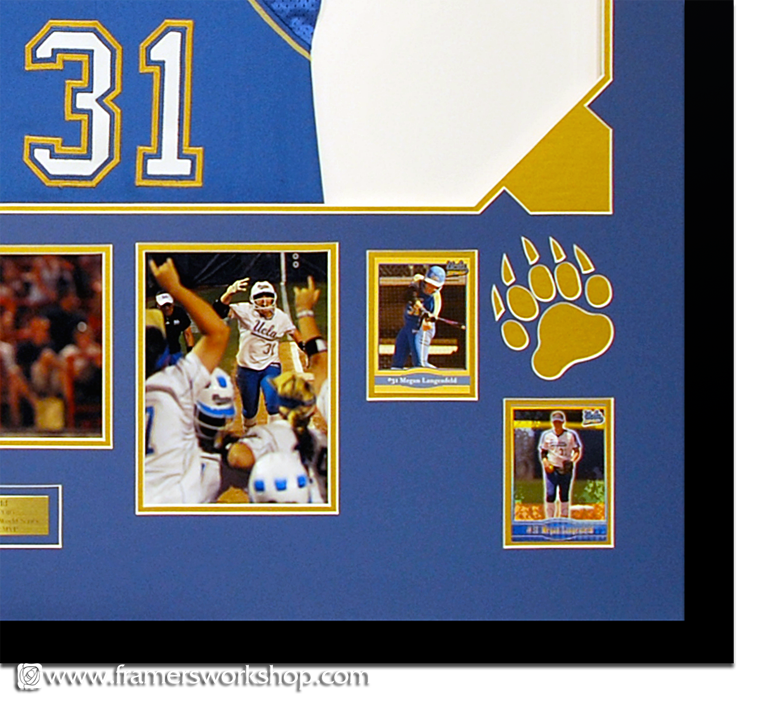 UCLA Baseball Jersey in a Multiple Opening Specialty Cut Mat.The customer wanted a very special gift for her daughter. She sent us the jersey, baseball cards and digital photographs. We printed the phtographs, had the brass plaque manufactured and sewed the jersey to the backing by hand. We made three different designs and emailed her pictures of the layout proposals. The approved project was then completed and shipped to her in time for Christmas. 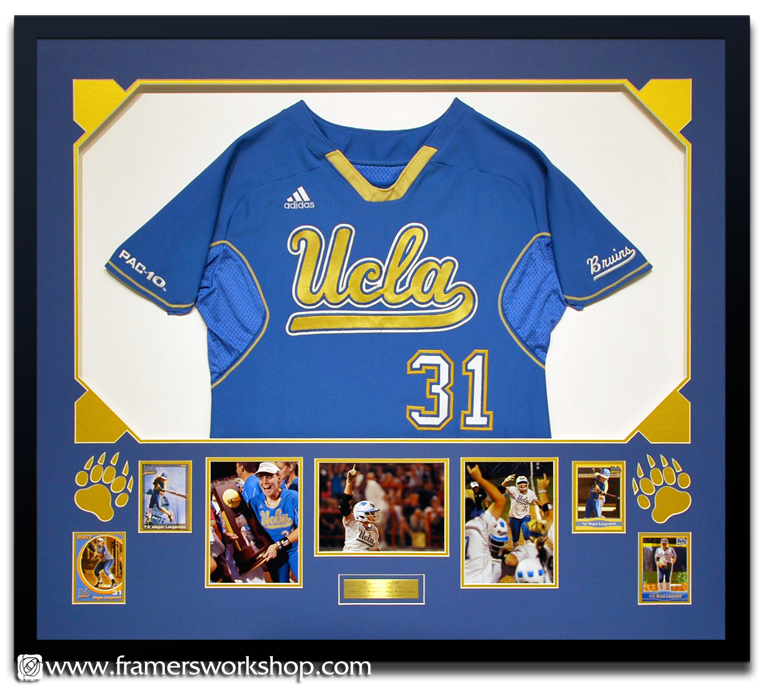 See more jersey framing on our Sports Framing page.